Organic mixed greens with beets, red onion, warm chickpeas and thin sliced radish sparkled with sesame seeds. Mixed with balsamic vinaigrette. Tomatoes, cucumbers, onions, parsley and mint mixed with lemon and extra virgin olive oil (dressing is mixed in). Quinoa, apricot, cranberries, walnuts and charred beets with fresh lemon juice topped with mint dressing (dressing is mixed in). Carrots, potatoes, butternut squash, zucchini and celery. Platter divided by four types of hummus: chickpea, chicken, tahini and plain. Topped with tender chunks of chicken and paprika. Hummus topped with whole chickpeas. Ground beef and lamb, onions & tahini. Tahini, silan, organic mixed greens and walnuts. Amazing falafel balls made from many greens and chickpeas, served with tahini, cured cabbage and grilled onion. Topped with tahini, grilled red onion and thyme. 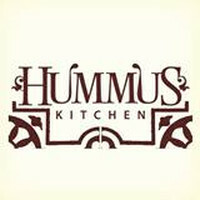 Hummus topped with whole chickpeas, spices and extra virgin olive oil. Broiled eggplant mixed with tahini paste. Basmati rice, organic soy yogurt, dill and pomegranate (served warm). Mazze. Tomatoes, cucumbers, onions, parsley and mint mixed with lemon and extra virgin olive oil. Traditional rice and lentil dish. Hummus, lettuce, chopped salad and pickles, topped with tahini. Roasted chicken, hummus, mild harisa sauce, cucumbers and parsley. Thin sliced chicken and lamb, grilled onion, hummus, chopped salad and lettuce. Ground beef sirloin kebab and hummus, tahini and lettuce chopped salad. Fresh tilapia fillet slow cooked in sweet and hot red peppers, lemon, cilantro and garlic. Served with couscous. Tender chunks of chicken marinated with chef`s own blend. Served with Mediterranean chopped salad. Assortment of vegetables chickpeas and raisins. Ground beef seasoned with onions, parsley and spices topped with tahini. Mediterranean tomatoes, peppers and onion stew. Served with two eggs, over easy. Mediterranean tomatoes, peppers and onion stew. Served with two eggs, over easy and spinach. Mediterranean, tomato and ground beef stew served with two eggs over easy.